Our Edifying Companion/Coach will provide for you a high-trusting, grace, and truth filled place to have your heart be heard, known, challenged, to get unstuck, strengthend, restored and much more. We provided SUPPORT, ENCOURAGEMENT, and RESTORATION through our in-person or online one-on-one and group services and retreats. Our desire is to walk alongside you through the pressure, perplexity and pain of a challenging season you are in as a women leader in the ministry or workplace. Here is where we engage and listen. We meet you where YOU are at. We look forward in hearing your heart’s story and how we can come alongside you in discovering what God is leading us to do next—together. Here is where we pinpoint opportunities based on our discovery and begin to identify the specific areas your heart may need to move forward. Here is where you will continue to be encouraged and supported. This may be in a one-on-one or group encounter. Ever individual is unique and we desire to move alongside you and your heart’s journey as you continue to be refreshed and restored. as you move from burnout, overwhelm, and weary to supported, encouraged, and restored. 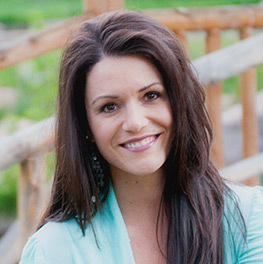 KAYLA has more than 20 years experience in ministry and 15 years in business including owning and operating a private Personal Training studio that specialized in helping those with body image and food issues. Much of her ministry and business experiences were spent in leadership roles that included serving alongside women of all ages with personal and professional discipleship, speaking, group facilitating, startup ministries, businesses, and vision casting. In that time, Kayla found herself building up, encouraging, and helping to strengthen those who were burned out, weary, overwhelmed, and stuck in life’s transitions. She continues to serve those even now in such realities of life and loves every moment. Seasoned with realness, humor, compassion, and a deep caring, Kayla has a zest for life and uses her own deep and personal challenges over the years as a bridge to help others discover and rediscover refreshment and restoration in Jesus, all along cheering them on to, “Not Lose heart!”. She is now a modern day “Personal Trainer of the Heart”. Kayla is truly an old soul, and she is passionate about helping others experience the true heart behind edification. FREE 45 minute Discovery Session. We are excited to be part of your heart’s journey!